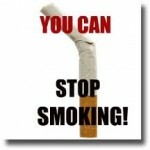 Campus Wellness offers FREE on-campus tobacco cessation consultations. Karl Lenser, Campus Wellness Coordinator, will help you determine your readiness to quit, assist with setting a quit date and developing strategies to achieve your goal. After meeting with Karl, you will make an appointment with Health Services. At this visit, an APRN will discuss cessation medication options and you will be given a prescription for the medication determined best suited for you and your lifestyle. Call 501.907.8974 or email kjlenser@ualr.edu to schedule an appointment.